Andrea started her insurance career in 2000 working in a town in Northern Alberta. This opportunity introduced her to a hands on experience of the oil and gas industry, as well as logging and farm operations. The knowledge and expertise gained continues to grow her vast personal lines experience, enabling her to protect Albertan contractors and businesses not only for the company exposures but also the client’s personal assets and insurance needs. In 2003 she branched out on her own to offer more competitive markets to benefit her clientele. This expansion opened further opportunities and a move to the Edmonton region in 2006. Now in the city and working with Leibel Insurance Group she has found her home with an ethical team which enables her to maintain her 95% retention of clients around our province. Andrea is very proud to represent and serve some of Edmonton’s top non-profit and charitable organizations. She is passionate about communication, knowledge and common sense insurance protection for her clients. 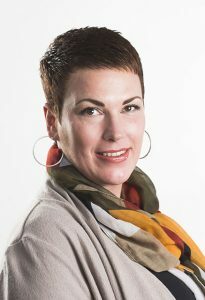 If you would like to learn more about how Andrea can help you with your insurance needs, you can reach her on her direct line at 780-968-7004 or email her at [email protected].